This baseline study was conducted in the UMzinyathi district of KwaZulu-Natal. The study was born out of a concern for the absence of genuine community participation in the implementation of care and support for vulnerable children in the province. 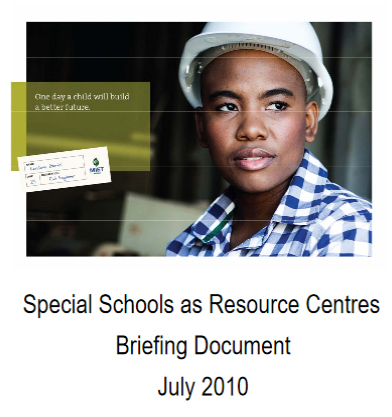 This briefing document will inform the creation of norms and standards for Special Schools as Resource Centres (SSRC).